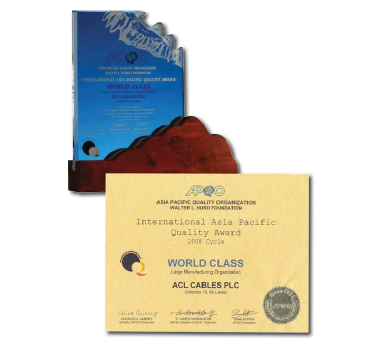 ACL Cables PLC is the largest manufacturer of cables in Sri Lanka having pioneered the industry in 1962. ACL holds 45% share of the local market and produce the widest range of cables in Sri Lanka. Today, ACL has grown to be a Group of companies holding 70% share of the cable market in Sri Lanka. 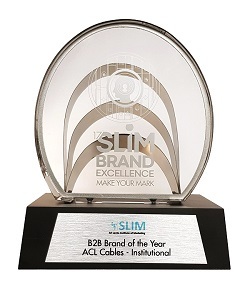 ACL is the most sought – after brand of cables in Sri Lanka, having supplied 80% of the requirements of Duty Free projects owned by overseas investors and approved by the Board of Investment, beating foreign supplies of cables. All leading factories, hotels, commercial buildings and warehouses have used ACL Cables. ACL continues to innovate and lead the field in the introduction of new products modern technology and machinery. In the five decades of it’s existence, the Company has evolved as a specialized manufacturer and supplier of the widest range of quality cables and conductors in the country, while possessing the most advanced technology in the Asian region for the manufacture of low voltage Cross Linked Polyethylene cables (XLPE). To be the preferred brand of electric cables in the region, whilst strengthening the dominant position in Sri Lanka. To expand our range of products and services in the fields of electrification. To be the most competitive in chosen global markets and to achieve continuous growth. To create an environment that will inculcate a feeling of ownership in our people and their families. To create a Company that will be in the forefront of technology and win the admiration of our customers, suppliers, shareholders and the community. We reach out to our customers and give them a fair deal. 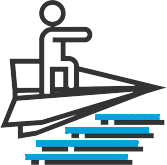 We build enduring customer relationships without trying to maximize short term profits. We always make it easier for customers to do business with us. We communicate regularly with our customers. We never forget to say thank you. We respect each other as individuals and motivate our people to work as a team. We provide opportunities for personal and professional development. We recognize and reward individual initiative and performance of our people. We treat our suppliers as valuable business partners and maintain a mutually beneficial relationship. We ensure superior returns to our shareholders through sustained growth of profitability. We carry out our activities in an environment friendly manner, contributing towards a safer and healthier community. Commencement as a member of Associated Motorways Group (AMW) of Companies under the name Associated Cables Ltd. Converted to a Public Limited Liability Company. Moved out of AMW Group. Establishment of own island wide distribution network. Acquisition of Ceylon Bulbs and Electricals Limited. Purchase of 75% of shares of the second largest cable manufactuer in the Island. Setting up of state of the art Magnet Wire project. Establishment of ACL Metals & Alloys (PVT)Ltd. Shifting of ACL Head Office to newly constructed four storied own building at Colombo 08. 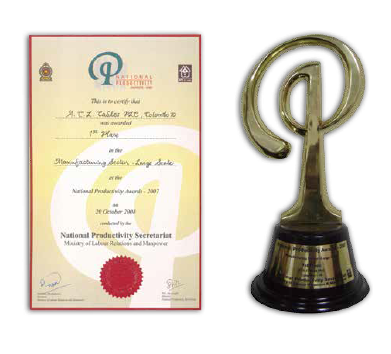 Beating National Quality Awards Winners of 46 Countries in the Asia Pacific Region Which included countries such as japan, Australia, Mexico, Singapore, India, Korea, Taiwan etc. 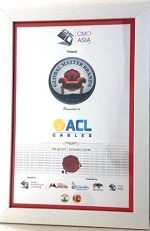 ACL Cables PLC achieved the prestigious Master Brand status for 2017, conferred by Chief Marketing Officers (CMO) Asia in partnership with the World Marketing Congress.A Master Brand status is conferred only to top tier brands in a particular category and in recognition of market dominance. Once the status is awarded on a single brand, the competing brands are excluded from the category. Commencement of Export of Cables In August 1995 US$ 269,650/- worth of Alloy Conductors were exported to Rural Electrification Board, Bangladesh. In November 1995 US$ 117,609/- worth of Armoured Cables were exported to Maldives Electricity Board, Maldives. 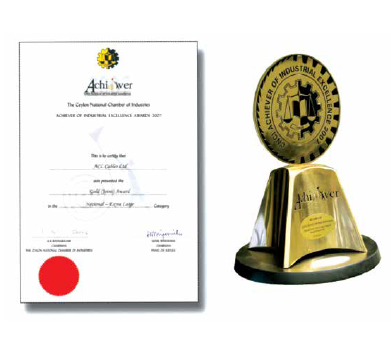 Achievement of ISO 9002:1994 Quality Management System Certificate. Achievement of ISO 9001: 2000 Quality Management System Certificate Achieved prestigious ISO 901:2000 Quality Management System certificate. Introduction of “ACL FLEXI” cables to the Sri Lanka market. Introduced a series of domestic wires with super flexibility in the range of 1.0mm2 - 6mm2. Achievement of ISO 14001:1997 Environmental Managment System Certificate Achieved prestigious ISO 14001:1997 Environmental Management System Certificate. Large scale export of Aerial Bundled Cables to India. Achievement of IS 694 Product Certificate from Bureau of Indian Standards. Taiki Akimoto 5 S Merit Award. 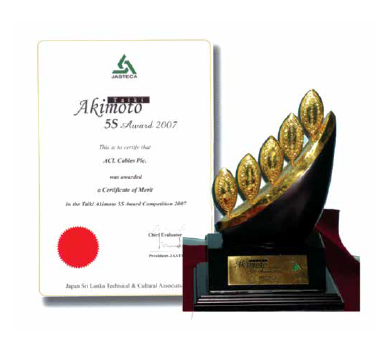 Industrial Excellence Gold Award in Extra Large Manufacturing category. 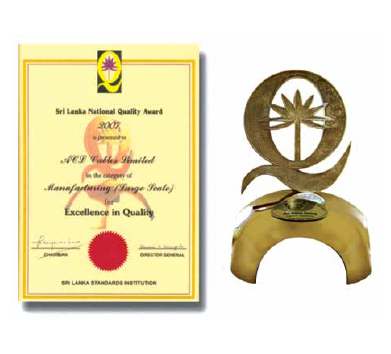 National Quality Award - Large Scale Manufacturing category (highest award for Quality in Sri Lanka). 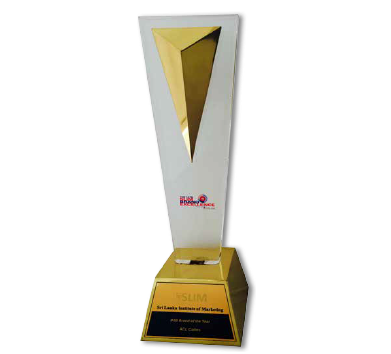 National Productivity Award - Large Scale Manufacturing category (highest award for Productivity in Sri Lanka). 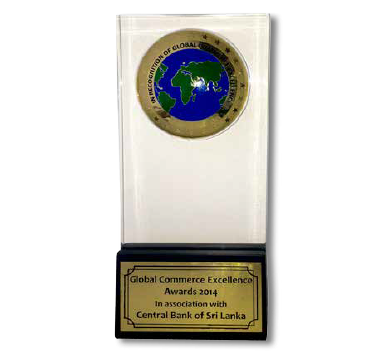 Highest Award of Asia Pacific Quality Organization called the World Class Award (A record to date among all Sri Lankan manufactures). Commencement of Export of cable to Australia. 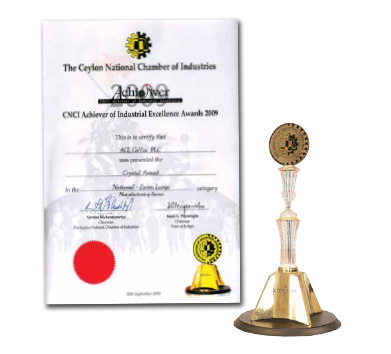 Industrial Excellence Crystal Award in Extra Large Manufacturing category. Commencement of Export of cable to New Zealand. 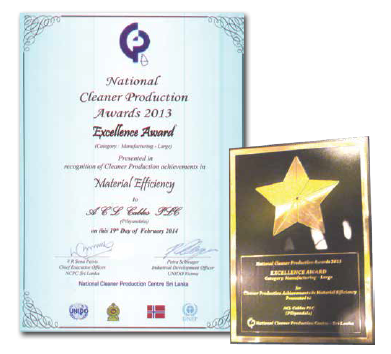 National Cleaner Production Award in recognition of Excellence in Resource Efficient & Production Practices in Manufacturing Large Category. 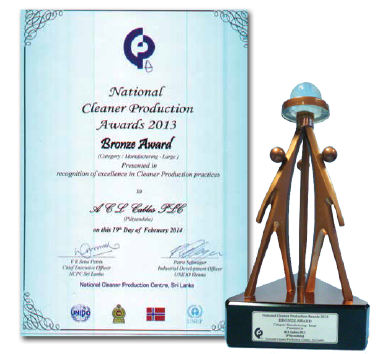 Special Award for Excellence Performance in Material Efficiency in Manufacturing Large Category. B2B Brand of the Year - Gold. At Slim Brand Excellence 2015.